What superpower would you want to have? The ability to fly? Teleport? Turn invisible? Time travel? Heal? What about to ability to see the invisible? Not exactly the flashiest power you can have especially because we can kind of, sort of do that right now. 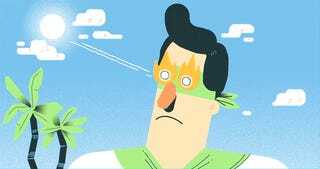 This lovely animation explainer from Amaël Isnard shows how though we can’t see magnetic forces in action, we at least get to see the auroras in the north and south poles, which reveals the invisible magnetic field of Earth.